Over the years me and my brother have given our parents various names. Nicknames not anything horrible. Some make sense. Some really don’t and I don’t know who or how they came about. My mum answers in supermarkets to ‘Spam’. What if you call mum how many mums are going to turn around. There’s also Annie, Mothercare, Jambon, Elizabethan England (the more surreal) and Jean Luc Picard. My mum’s name is Jan. Told you some of the names don’t make sense. My poor parents get their Christmas presents and birthday cards addressed to Spam and Captain Oddball. This Sunday is Mothering Sunday in the UK, to celebrate I want to share with you one of my favourite dishes my mum made growing up and still makes for us. It was the starter my mum would serve as a starter at dinner parties in the 90’s with George Michael playing in the background. 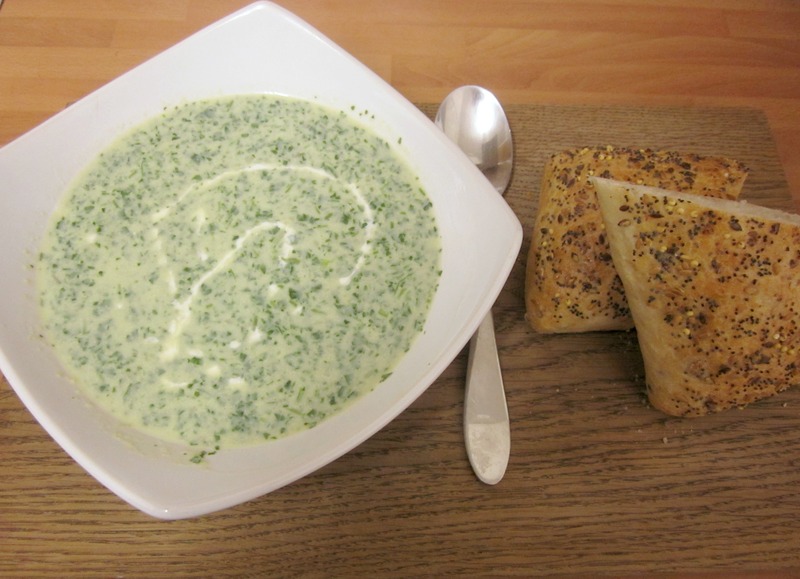 I remember me and my brother hoovering in the kitchen to get our own portion of the deliciously peppery and creamy watercress soup. I can’t convey to you how a little bowl of soup can taste to special. 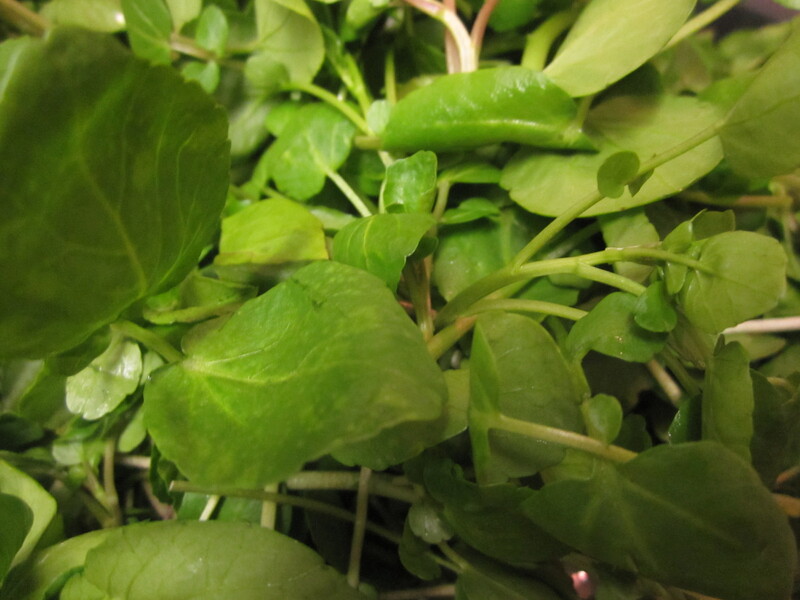 Hint of garlic, lemon and nutmeg and peppery goodness from the watercress. Warning though, in some cases of eating, it will look like you have been sieving pond water with your teeth but that always means hilarity ensues. And you can bet it wouldn’t taste of pond water. Bring in Spring with this fresh soup to bring life back to your palate. My brother makes a mean bowl of this soup too and hopefully I can do justice to mum’s recipe. Thanks to my mum for never shooing me out of the kitchen, sharing her recipes with me and being the best darn co-chef there is. Originally from Rachel Southall recipe- Masterchef series 1993 The me notes are my mums additions. Melt the butter in a large pan and gently fry onion and garlic until soft but not browned. Stir in flour and cook for a minute and then remove from the heat and gradually add the stock, stirring until well blended. Return to the heat and bring to the boil stirring all the time. Add the milk, watercress, nutmeg, salt, pepper and lemon juice. Stirring and bring to the boil, reduce heat and simmer gently for 5 minutes. Purée the mixture in a blender and then return to the pan and heat gently (but do not boil) and then add the cream. Serve piping hot. mmm sounds like the perfect winter recipe! so hearty and comforting! Such a tasty soup, you should give it a go!